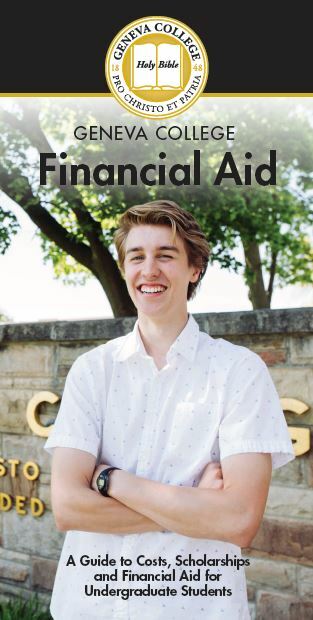 The calculators below will identify the academic scholarships and awards offered at Geneva for which you may qualify, as well as overall financial aid. For best results, it is helpful to have the following items on hand: tax information, bank statements and academic information (SAT or ACT scores, official transcripts). Please be sure to complete the entire process for the most accurate estimate of your financial aid eligibility. Nearly 100% of Geneva College's students qualify for some type of financial assistance! 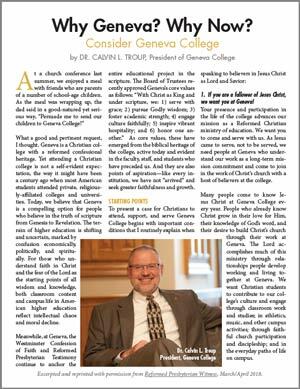 Geneva College awards over $13,500,000 in grants and scholarships from college funds. Approximately $13,000,000 in federal, state and private grants and loans are offered in addition to Geneva College funds. Over 50% of new students each year are awarded academic scholarships. About 40% of students work on campus. 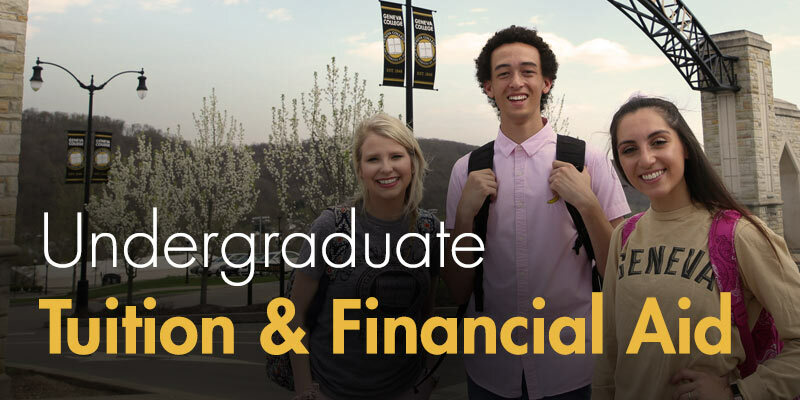 Geneva presents financial aid webinars and presentations for prospective and current students. What Does the Bible Say About Student Loans?